If you fancy cozying up with a cup of green tea or serving coffee from a unique piece of Asian ceramicware, then the Arctic Ice Japanese Tea Mug is the ceramic of your dreams. This sturdy tea mug is made in Japan and encompasses some of the best aspects of traditional Japanese tableware. It is interesting, comfortable, and classy. When matched with the Japanese Teacup and Japanese Tea Set, this Japanese Tea Mug becomes a coherent set for coffee and tea service in a chic restaurant or at-home use. 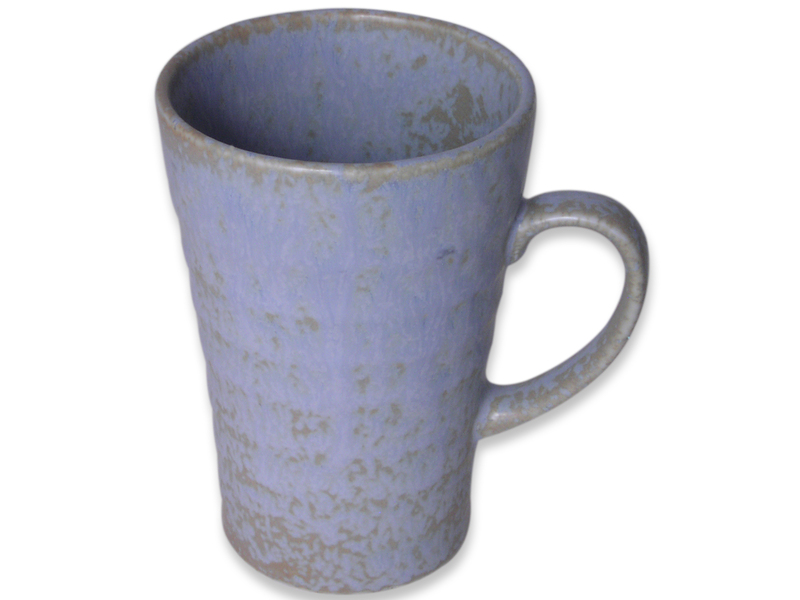 The mug is decorated with a blue and pearl glaze, which exemplifies the natural qualities of the mug and ties it to the other pieces in the Arctic Ice Tableware Collection. Yet, the design on your Japanese Tea Mug is guaranteed to be unique because it is glazed by hand. The exterior of this ceramic tea mug has the same matte finish and design as inside, but is textured with slight, horizontal ridges that make is easier to grip. This mug also has a unique shape. It is tapered from top to bottom, with the base much smaller than the wide brim. With this Japanese Tea Mug, fill your cup to the top and happily sip your favorite hot beverage.